As 2018 concludes and we begin to focus our sights on 2019 and beyond, I want to reach out to PUBLIC ACCESS supporters to say THANK YOU for continuing to invest in WWTA with your time, talent and treasure. Without our members, donors and volunteers, we simply would not be able to promote our mission and expand PUBLIC ACCESS through our advocacy, educational and stewardship programming. As we begin our 2018 Year-End Appeal I am pleased to share our progress in retaining and expanding water trails throughout our state. Washington Water Trails continues to be on the forefront for this vision. Public Access is the common denominator with stakeholders and without it; simply having the opportunity to enjoy our state’s waterways would cease to exist. Visited 46 Cascadia Marine Trail sites and met with their respective land managers for annual WWTA CMT site reviews. During these on-site visits, replaced 19 site marker stakes, put new trail decals on 17 stakes, and cleaned 15 WWTA “Bulletin Boards” and replaced 27 old CMT & Site maps with new laminates. Worked with King County and Vashon E-Bike opening the new CMT site on Maury Island (Maury Island Marine Park). Worked with Washington State DNR on project to identify DNR shoreline properties that might be candidates for water recreation development. 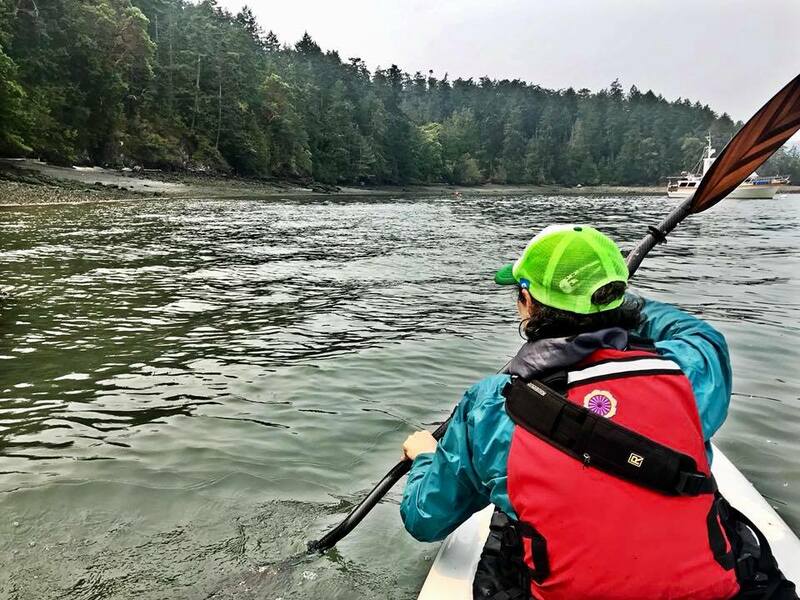 Worked with Moran Washington State Park, Orcas Island Land Owners, and RCO to develop a Land Swap/Grant Request that would result in construction of a new Cascadia Marine Trail Site on the east side mainland of Orcas Island. Participated in Washington State Parks Boating Advisory Group and Paddling Safety Committee activities as WWTA’s representative. Worked with State Parks to develop a 5 Year Plan for new Cascadia Marine Trail sites at Fudge Point, McMicken Island MP, Bay View SP, Turn Island SP, Haley Property, and the re-establishment of the Saltwater SP site or replacement with a Dash Point SP site. Worked with State Parks for agreement that Hiker/Biker camping sites at parks without specific CMT sites will also give priority to human power watercraft campers. Concluded new Memorandum of Understanding with Washington State Parks on partnering on Water Trails. Attended the Northwest Paddlefest with a booth with information about the organization and water trails, board members taught classes. Andrée Hurley and Don Crook taught classes and worked as support staff. Attended the Return of the Salmon event with a booth with educational materials. Acted as a resource for other local organizations and agencies. Implementing Salesforce, thanks to one of our board members, Darryl Kirk. Continuing with work parties, with Harry Oesterreicher at the helm. 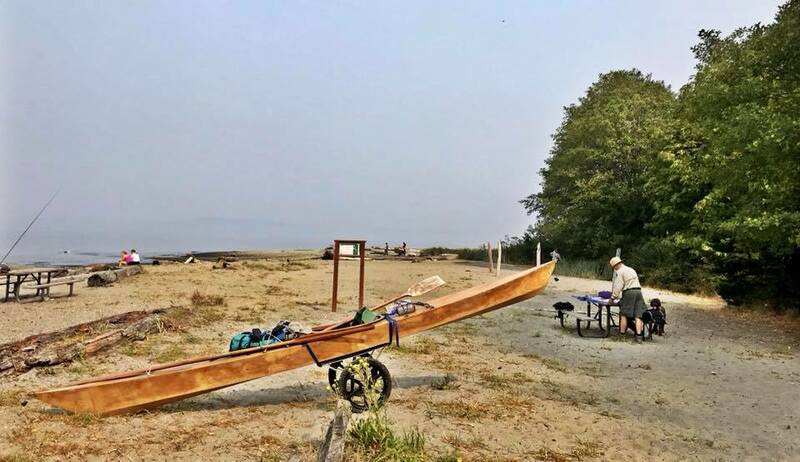 Don Crook and Andrée Hurley took reporter Elizabeth Giordano on a kayaking trip to Hope Island, and accompanied her to the Meadowdale site for an education discussion with the ranger, Doug Dailer. He gave us a very impressive presentation on the history of the site. He is an excellent steward, thank you Doug! Liz was assigned to research WWTA by the editors of the Everett Herald, and wrote a fabulous article. Elizabeth Giordano, Doug Dailer and Andrée Hurley at Meadowdale. We love Doug’s Pygmy Kayak. I encourage you to talk about organizations that you support with family and friends. Ask tough questions and have high expectations for those organizations you support, including WWTA. By your support, you will be helping to fund efforts to increase PUBLIC ACCESS to public waterways around our state so that all citizens will have the opportunity to enjoy one of our most precious natural resources. On behalf of the WWTA Board of Directors, thank you for the opportunity to serve you and thank you for considering giving to our organization during our annual appeal. Click-here to donate! I also want to thank all for their recent donations, new memberships and renewed memberships. You are appreciated and valued, and we would love to hear from you. We also have a few administrative volunteer positions to fill. As you might know, we have been running the organization with volunteers for over a year, and would love to have more people join the team. Please email us at wwta@wwta.org. Wonderful morning getting to know our Meadowdale site better through the eyes of the ranger, Doug Daller. A quick video from our trip (below).